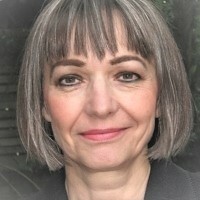 Jean Boase-Beier is a translator of German poetry including collections by modern German poets Ernst Meister, Rose Ausländer, and Volker von Törne. She is Professor Emerita of Literature and Translation at the University of East Anglia, where she founded the MA in Literary Translation. Recent publications include Translating the Poetry of the Holocaust and The Palgrave Handbook of Literary Translation. Poetry Salons are held most months at Ledbury Books and Maps. Join us for interesting discussions followed by an open mic session.